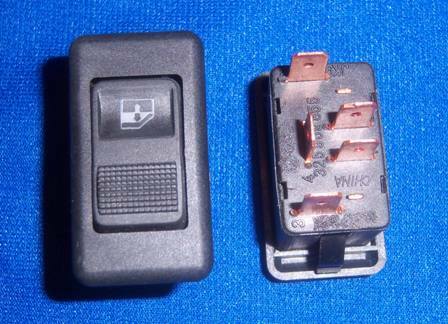 Reverse polarity Black switches. No Pigtail. Price per each. NOTE: Will NOT fit any of our Bezels - Only the Arrow Switches fit our Bezels. Covers 1 5/8 x 7/8 and deep 1 ¼. All Purpose Button / Switch. Pigtail for Arrow lited or non-lited Switches.